With no cargo on board, a 2400 meter runway is sufficient for take-off and landing. At its maximum weight, a distance of 3500 meters is required for take-off and 3300 meters for landing. The aircraft climbs at 560 km/h, with a vertical speed of 8 m/s. 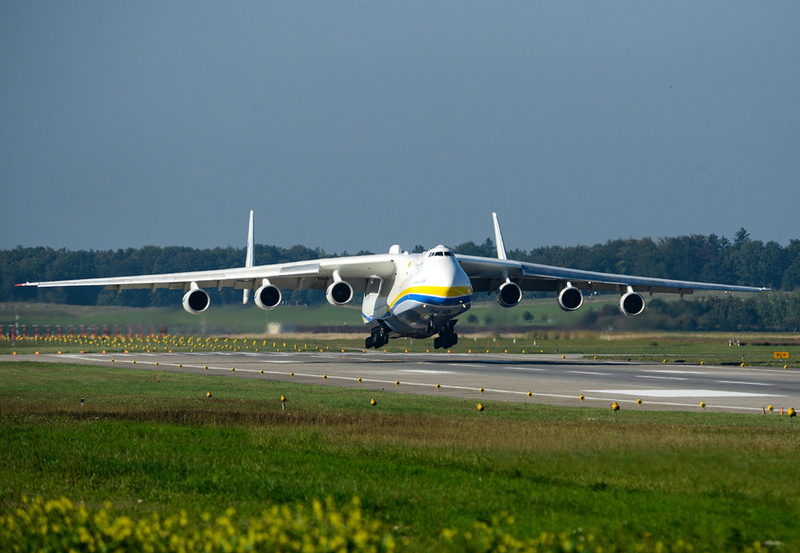 The An-225 is the heaviest cargo aircraft ever to lift off the ground. On March 22, 1989, the An-225 flew with a load of 156.3 metric tons, beating 110 world aviation records in the process, which fact itself was a record.